DALLAS – Jan 10, 2018 – The Energy Professionals Association (TEPA) and the Illinois Professionals Association (ILEPA) announced today that the two organizations have merged. ILEPA will now be the Illinois Chapter of TEPA. The merger, which was voted on unanimously by both the TEPA national board and ILEPA’s board, combines the organizations’ efforts to uphold the integrity and further consumer benefits of the deregulated energy market. TEPA and ILEPA are both non-profit, self-regulated organizations that are led by a volunteer board, which is elected by the Association’s voting members. ILEPA, which is based in Chicago, Illinois, will become the Illinois Chapter of TEPA. David C. Wiers, will continue as president of the Illinois Chapter and will also serve as a voting at-large member of the national TEPA board. The remainder of the Illinois Chapter’s board members will also remain in their current roles. All national TEPA board members will continue to service in their current positions. This is the second expansion for TEPA within the last five years. In December 2013, TEPA created the Northeast Chapter of TEPA, which has since grown over 75 percent and is currently directed by Jeff Lenetsky, the president of the Northeast TEPA Chapter board. 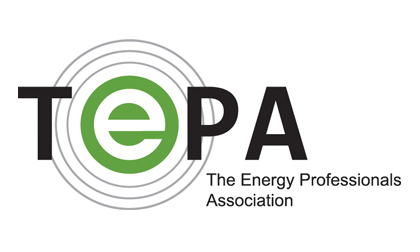 The Energy Professionals Association (TEPA) is a 501(c)(6) organization whose community of energy professionals adhere to a code of conduct, serve as an educational resource, and advocates for deregulated energy markets across the country. TEPA members include aggregators, brokers and consultants (ABCs), retail electricity providers (REPs) and affiliate members, and are the clear choice for consumers seeking to benefit from competitive energy markets. TEPA members exhibit expertise, ethical practices and a high level of professionalism to help consumers buy electricity in the restructured national marketplace. For more information visit www.tepaUSA.org.